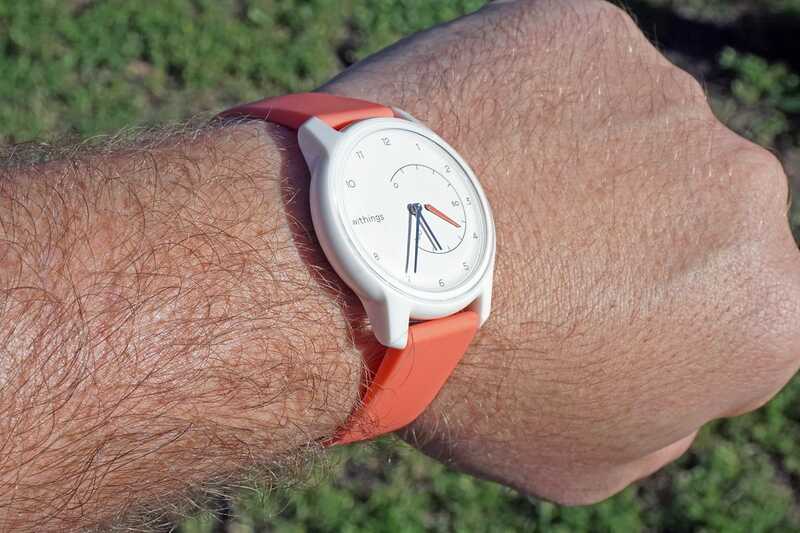 That makes the company’s most budget-friendly model, the Withings Move, all the more disappointing. 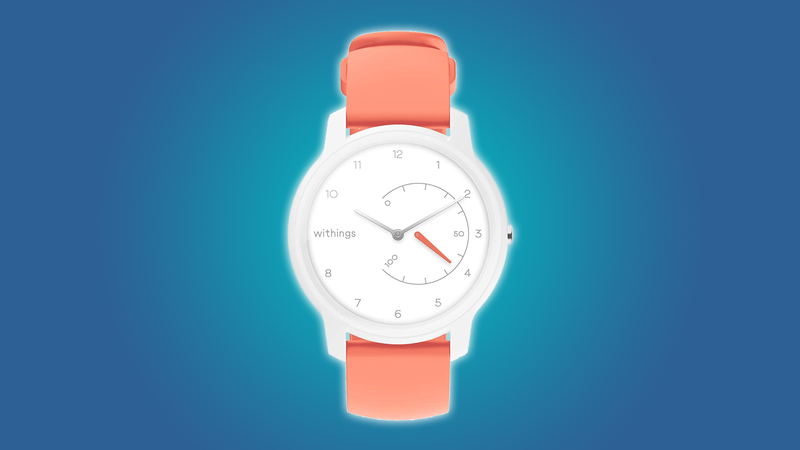 Its low price point is matched by few features, relying on a connected phone for most of its actual benefit, and the materials and finish of the watch itself aren’t up to the standard set by the Withings Steel and its stablemates. If you’re in the market for both a very cheap activity tracker and a very cheap watch, you could combine both purchases into the Withings Move. But if the appeal of a hybrid watch is in its resemblance to a fashionable accessory, and the appeal of an activity tracker is in its accuracy and utility, then the Move falls flat on both of those points. From a functional standpoint, the Move is very similar to the Withings Steel, the original hybrid watch design that the company inherited from its days as a Nokia subsidiary. Like the Steel, the Move tracks steps and sleep with on-board hardware, with its only feedback coming from a sub-dial that shows progress towards your daily step goal. The watch can vibrate, but offers no other interactive functions. Unlike the Nokia/Withings Steel, the Move looks…well, cheap. It uses a plastic case and window, something that would be tacky on even an inexpensive conventional watch. 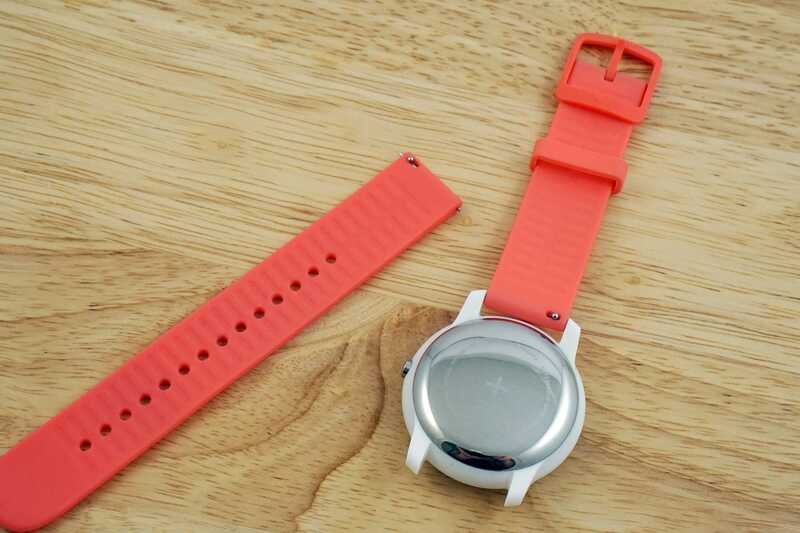 The silicone band is more forgivable, and I appreciate that it can be changed quickly thanks to quick-release pins. But if you want a nice band that’s an extra $20-30, which seems like an odd extravagance on such a cheap device. The plastic case would be alright, if Withings had used the savings for a mineral crystal window. Something like tempered Gorilla Glass or synthetic sapphire is too much to hope for on a sub-$100 device, but the plastic window is going to scratch easily and repeatedly, even if you’re not using the Move in frequent high-intensity workouts. That cheapness is presumably a feature and not a bug. At just $70, the Move is indeed one of the cheapest activity trackers around from a reputable supplier, hybrid watch design notwithstanding. It’s a bit more than half the price of the original Steel, for the same features…and in order to move up to something with heart rate tracking, you’d need to shell out $180 for the Steel HR. 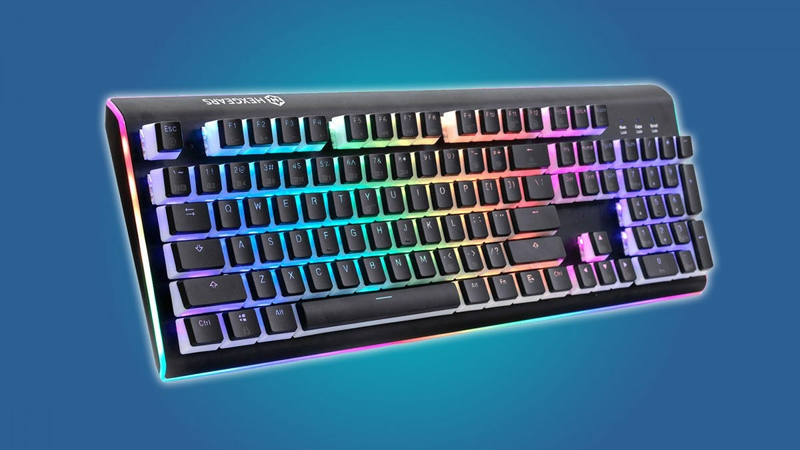 That’s well beyond impulse buy range for most users. 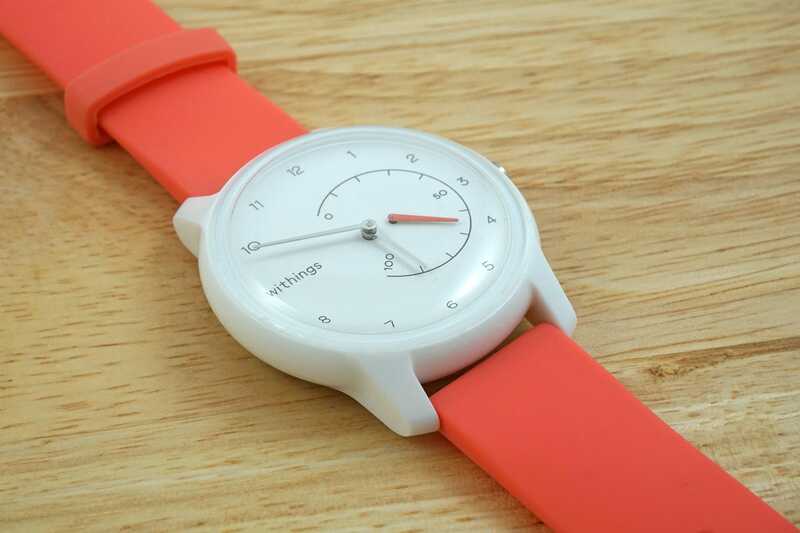 Withings is pushing the customization angle with the Move and its more expensive cousin the Move ECG. 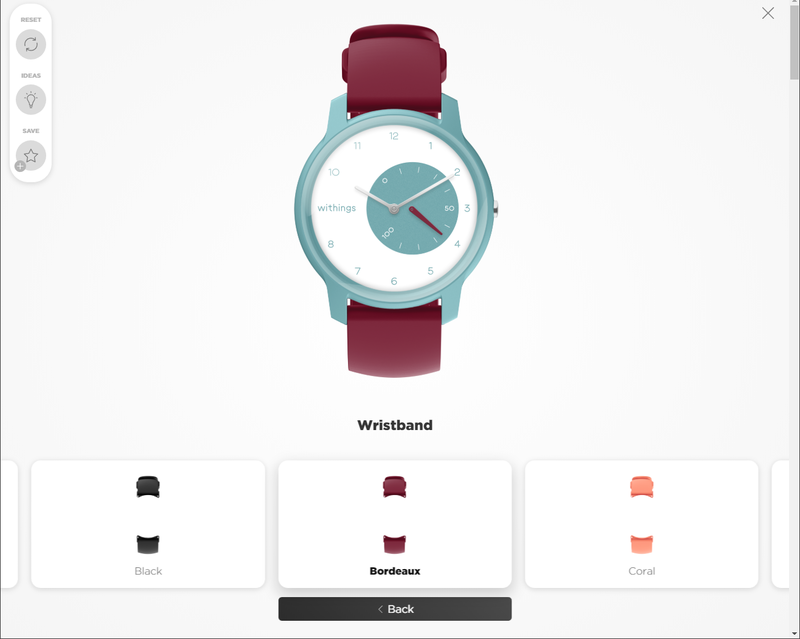 It’s being offered with a variety of color combinations for the band, face, and “tracker” hand, with a full web-based color customizer tool being offered sometime later this year. There are a few different ways to approach this problem: people tend to either lift their surge protector off the floor and hang it underneath the desk, or leave it where it is and put it in a handy box to make it easier to hide and/or clean. 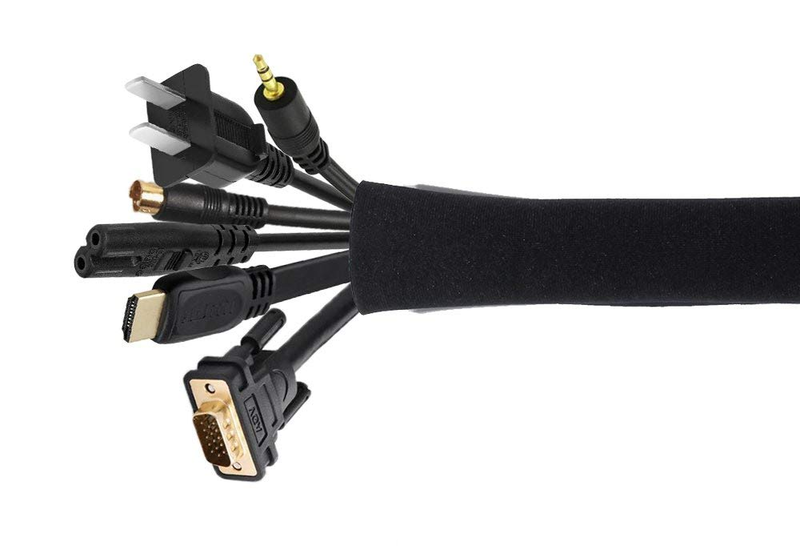 We have both options covered, along with some of the other tools you’ll need to get your desk cables organized. 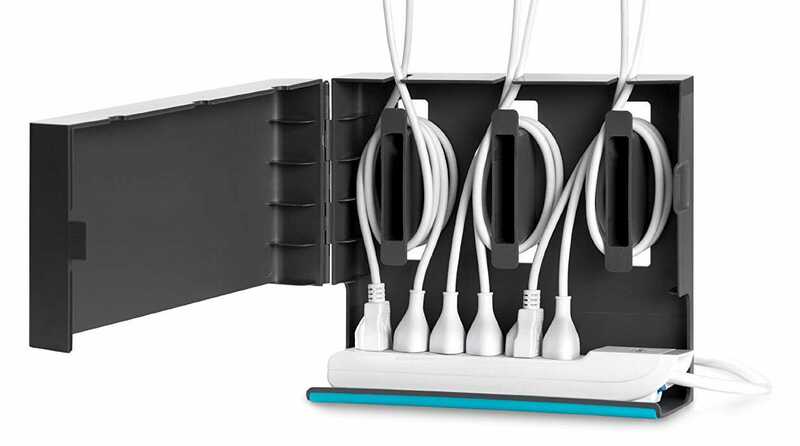 Surge protectors and power strips are one of the hardest part of your desk to keep tidy, but this combination tray and able spool will keep everything straight. 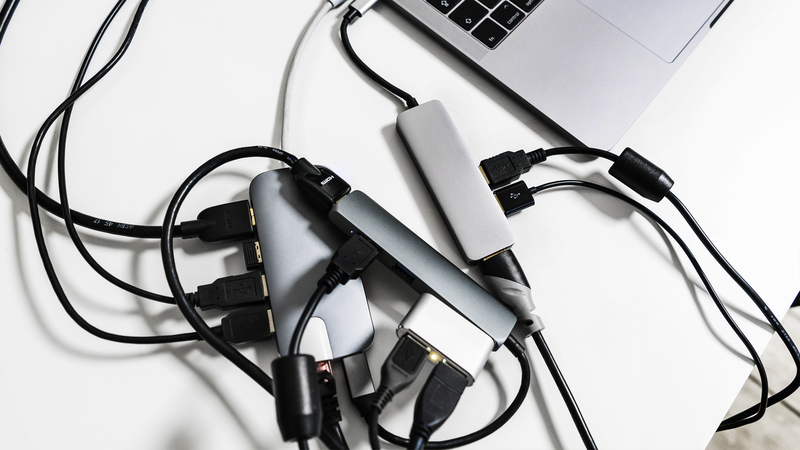 The Quirky Plug Hub has an advantage over some of the box designs below by keeping the plugs themselves accessible while also coiling excess lengths of multiple power cords. 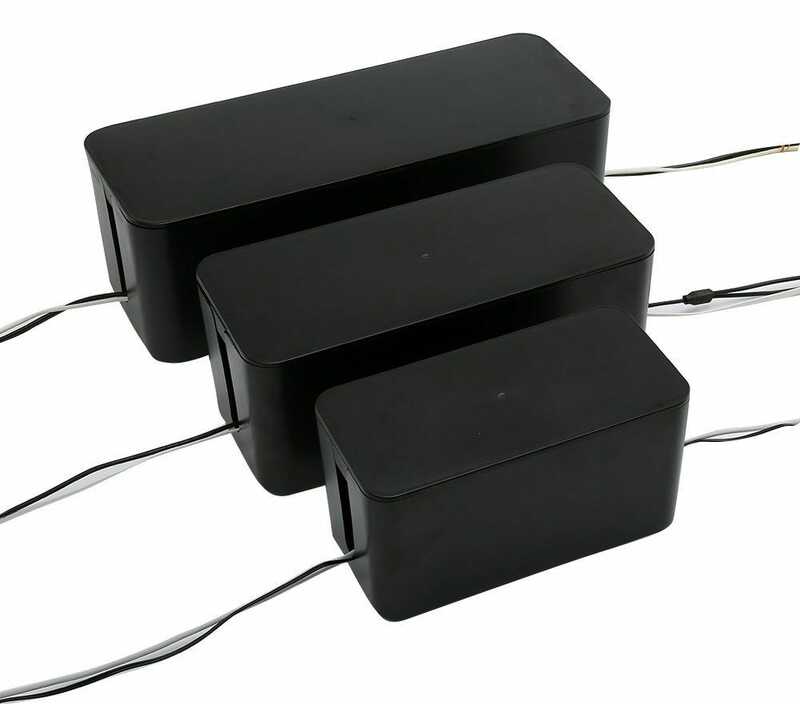 The open bottom accommodates surge protectors of any length, and three internal spools and matching escapements keep the power cables from getting tangled. The box can stand on the floor or be mounted directly to the underside of the desk. If you need something to handle a large surge protector and don’t need to access it constantly, this matched set should handle your needs. 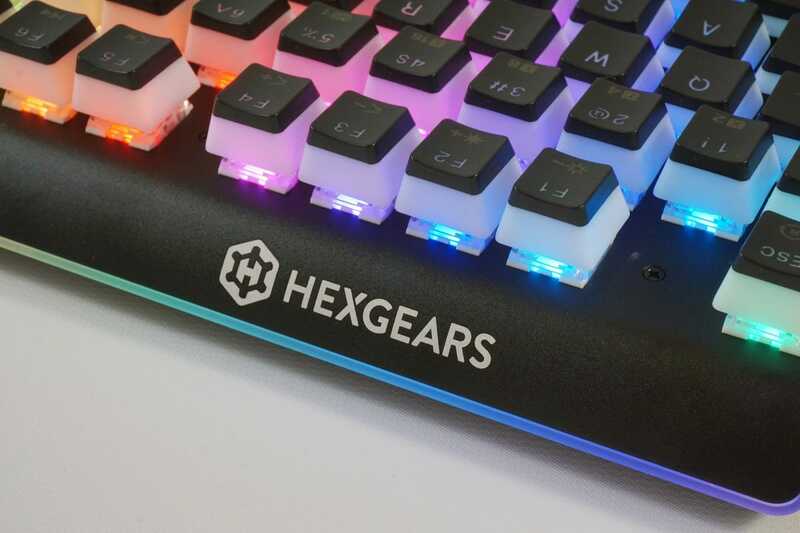 The largest in the three-pack is 16 inches long, which is big enough to handle the largest surge protector around, with cable escapements on either side. The smaller boxes are a bonus. 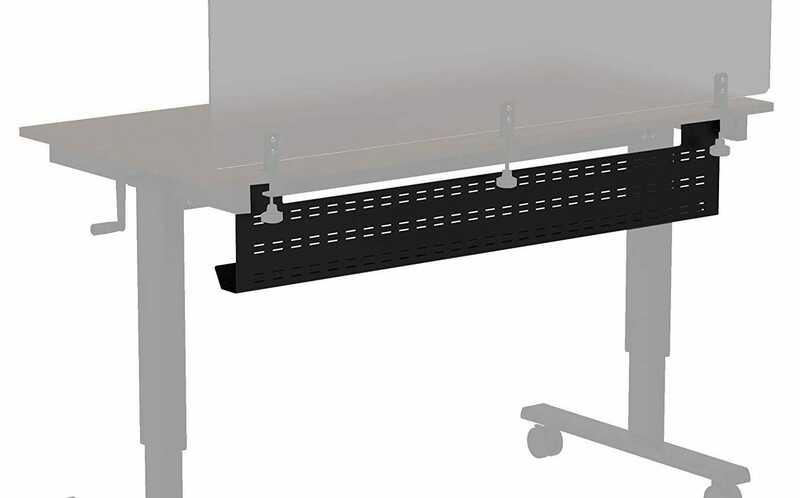 While it doesn’t have the internal spooling of our top pick, the U-Miss set is enough to handle smaller desks or entertainment centers without more elaborate mounting needs. 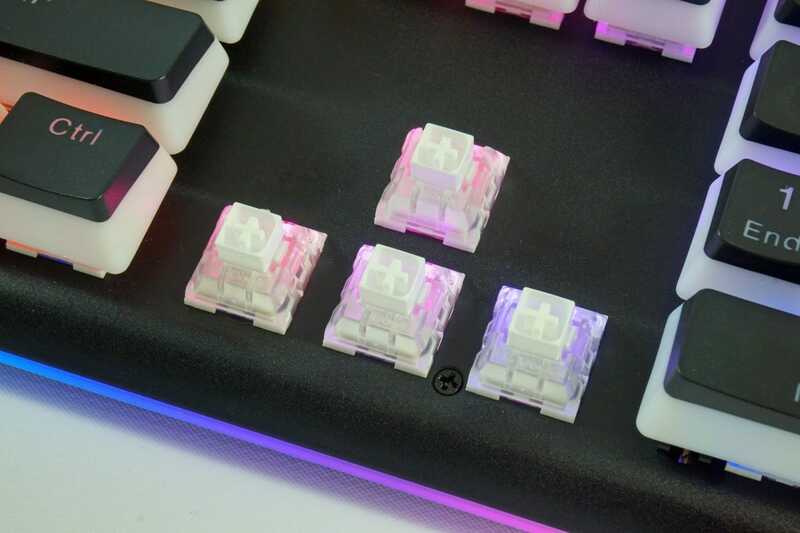 Those who want to stick their surge protector and all assorted cables directly underneath their desktop will be best served by this raceway design. It offers over nine inches of vertical space for even the chunkiest of power strips, with either 39 or 41 inches of length. The metal tray screws into the underside of the desktop and runs along the back, with a long space in the top of the tray for running power and data cables to any point in the desk. Cables tend to tangle between the power strip and your PC, and the surface of your desk. These zip-up sleeves keep everything tight, and they’re easy to apply and remove. The neoprene material (the same stuff in diving suits) is considerably tougher than the cotton or mesh often seen in other sleeves. Standard scissors can cut holes in the sides of the sleeves to allow cables to exit from any point. 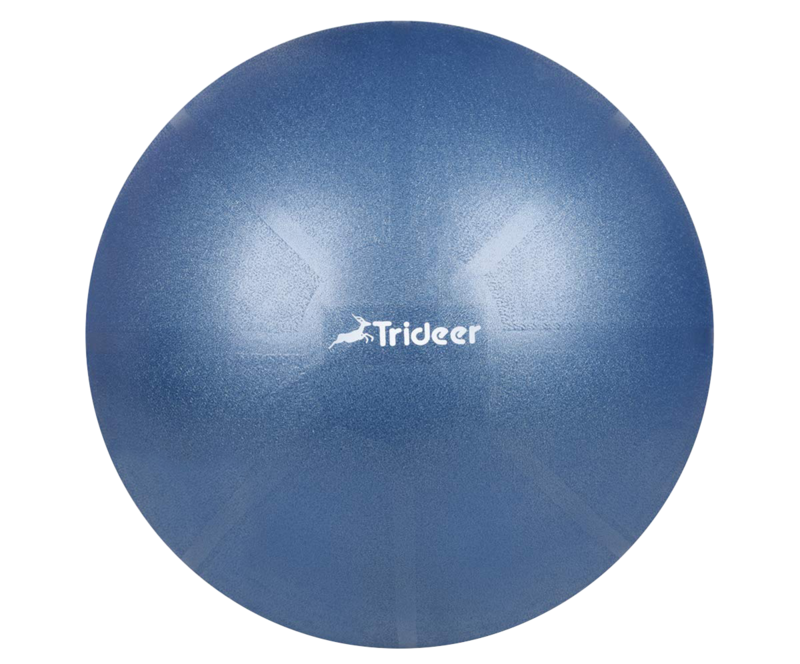 Alright, getting serious: yoga balls, medicine balls, and balance balls do have a lot of practical exercise applications for calisthenics, stretching, free weights, and other improving fitness techniques. We’ve picked out the best yoga balls for large and size applications, the best weighted medicine ball, the best flat-base balance ball, and the best ball if you’d like to replace your home office chair. Check ’em out below. There are more full-sized yoga balls than you can shake an ab roll at, but reviewers consistently rate Trideer’s offerings above the rest. 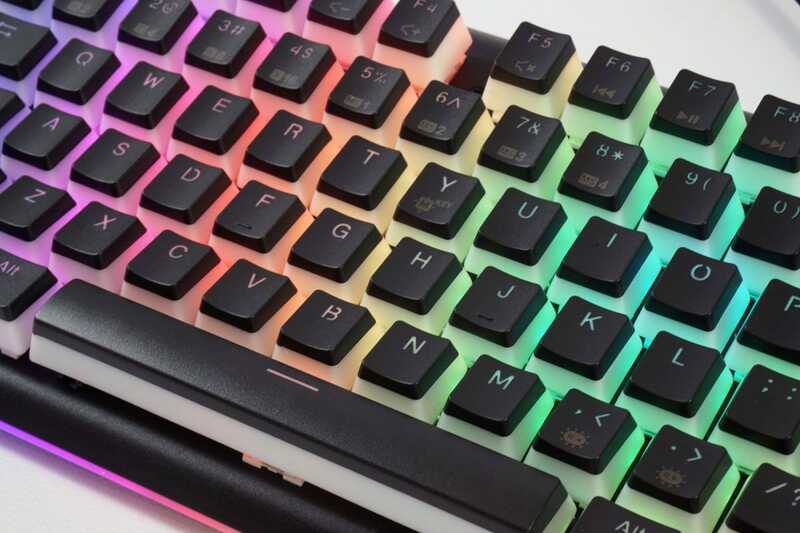 Its plastic has an extra-grippy texture that’s less likely to slip under you or on a hardwood floor, and its extra-thick walls can handle up to 2200 pounds of force before bursting. Balls are offered in multiple colors and sizes, from 45 centimeters to 85 centimeters in diameter. Each one comes with a pump to help get you started. For some routines, a smaller ball is required for exercising abdominal, back, and leg muscles. 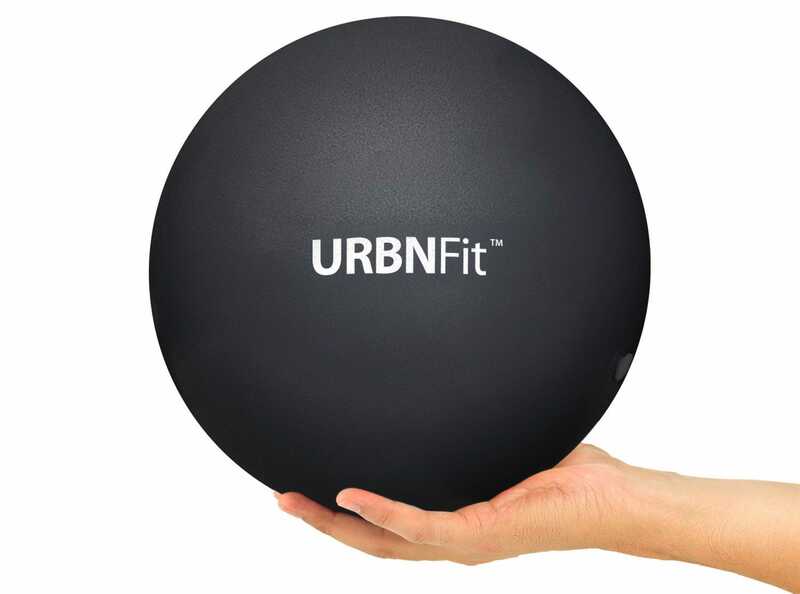 This nine-inch ball from URBNFit is perfect for targeting muscle groups, and it’s much easier to fit in your home gym than a full-sized ball. The PVC material is considerably tougher, too, so it’ll last quite a while before needing to be re-inflated. Medicine balls, weighted, easy-to-grip balls that are many times heavier than the similar pilates ball above, are a very old method of combining coordination, calisthenics, and freeweight training. 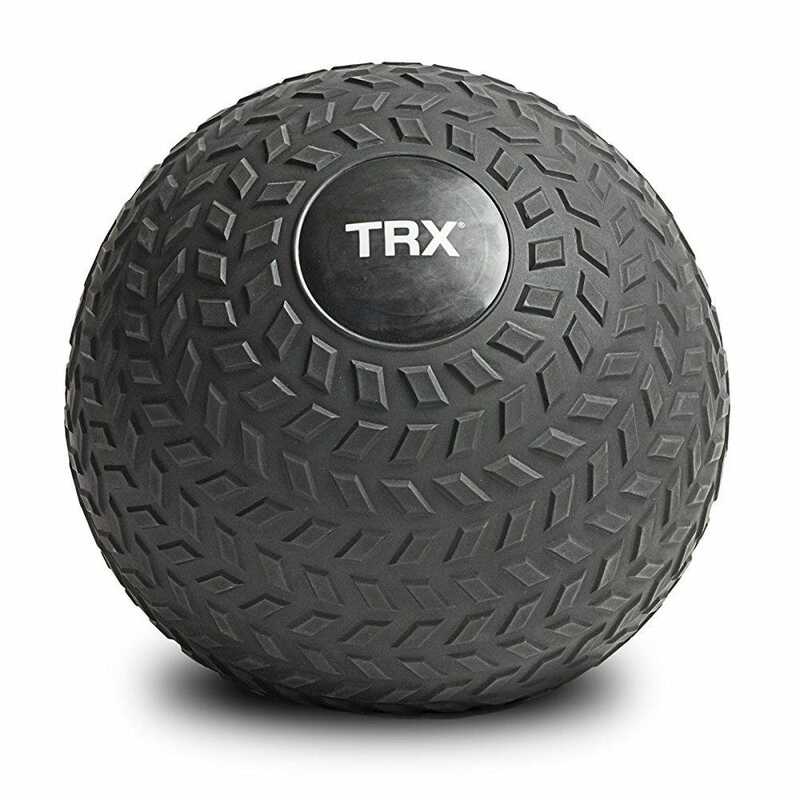 This TRX design is a great modern interpretation, with an extra-tough rubberized exterior that won’t slip out of your hands and can handle more intense “slam” exercise sessions. The ball is available in weights that can be incorporated into exercises at any fitness level, from six pounds all the way up to fifty. An inflatable flat-bottom ball combines a lot of the exercises you can do with a full-sized yoga ball and a pilates ball, all in a size that’s easy to put away and store. 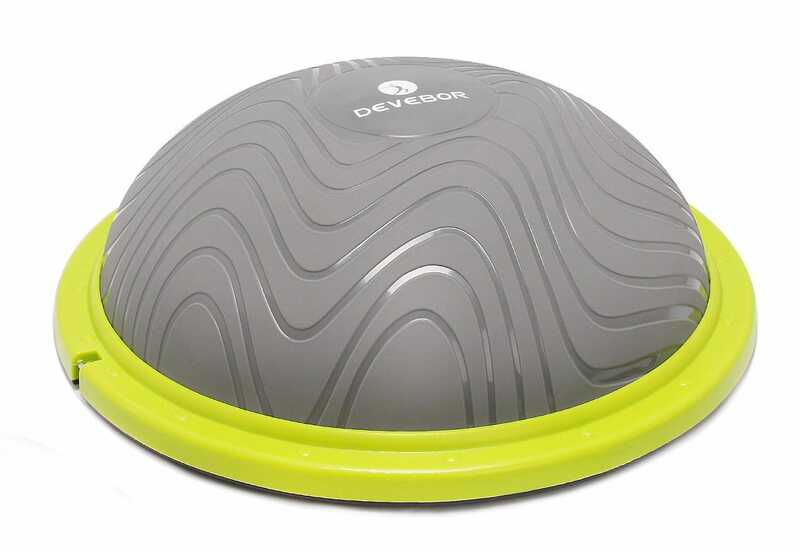 The DEVOBOR version comes with a tough inflatable shell and built-in resistance bands, allowing for a variety of arm and leg repetitions. Both the top and the bottom have anti-slip coating for frustration-free workouts. Many people have opted to replace a conventional office chair with a yoga ball, making for an easy, low-intensity workout for your core. 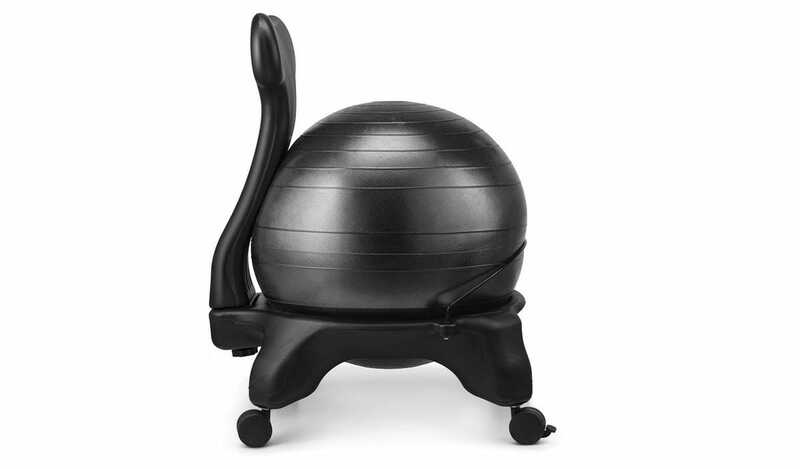 The LuxFit Ball Chair offers this workout with a bit of back support and conventional chair rollers, making it fit into a standard home office in a much easier way. The smaller ball and retention cross-beam stay inside the chair at all times, eliminating the annoying rolling that sometimes happens with a standard ball. 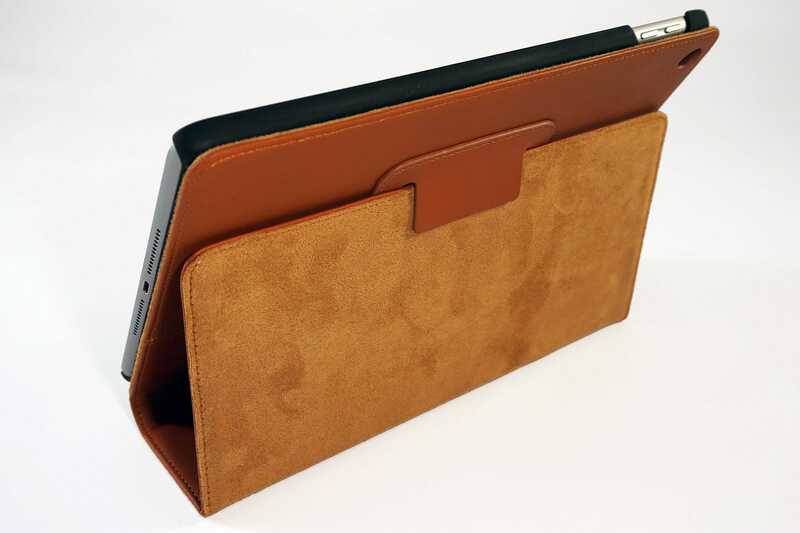 Casemade, a UK company that boasts of genuine Italian leather on its iPad and iPhone accessories, hopes to walk that line. 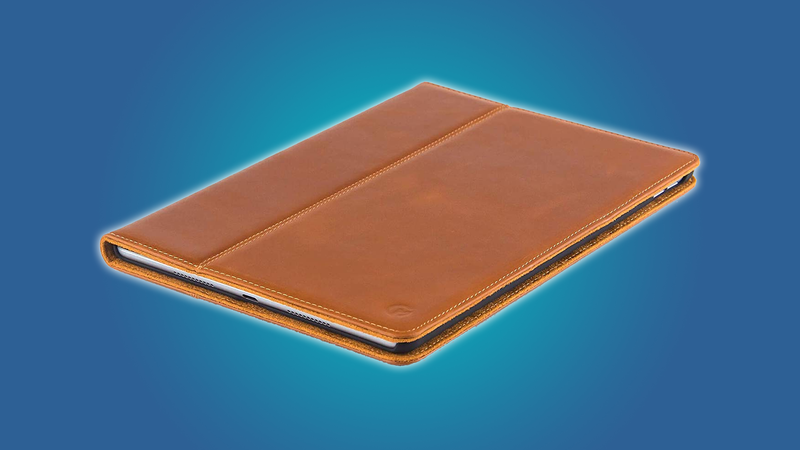 The company sent us its standard leather case for the latest iPad, available for $60 or £40. It’s a pretty nice option for protecting your tablet, covering all the basic features in a beautiful and functional exterior. 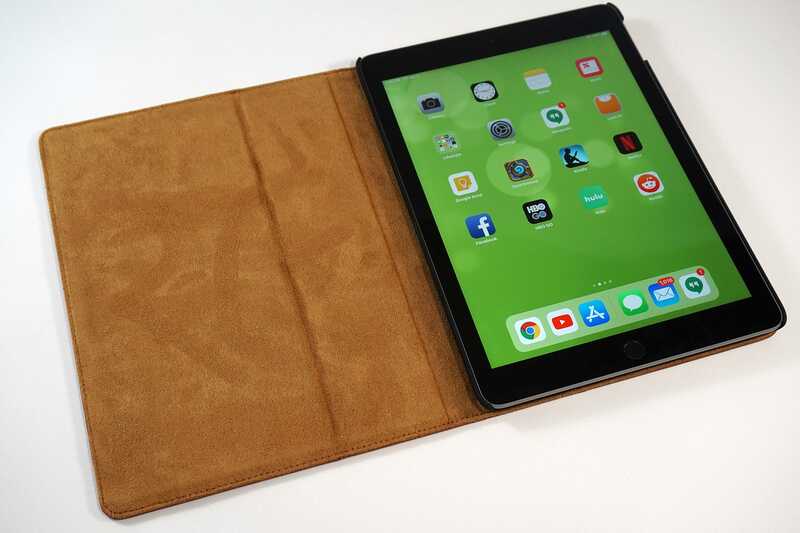 You won’t find much in the way of fancy features, but as a simple means of keeping an iPad safe and looking good, it’s more than adequate. The Casemade design is pretty straightforward, and should be familiar to anyone who’s used an iPad in the last few years. It goes with the standard folio layout: a hard plastic shell surrounded by a stiff leather exterior. Our review unit is in standard tan with matching stitches, though black with red trim is also available. The exterior is smooth and unadorned, save for a small embossed logo in the bottom right corner. A book style-seam runs vertically on the front and back, allowing the cover to fold back on itself and slip into a thin tab, displaying the tablet in a horizontal position with about a seventy-degree angle. Aside from the cutouts at the rear for the iPad’s camera and a microphone, that’s it. Closed and protecting its cargo, the case is approximately three-quarters of an inch thick—pretty chunky for a svelte tablet, but about average for this kind of folio design. The plastic inner case is open at the tablet’s top, bottom, and volume cluster, though it wraps around the corners snugly enough that the iPad isn’t going anywhere. 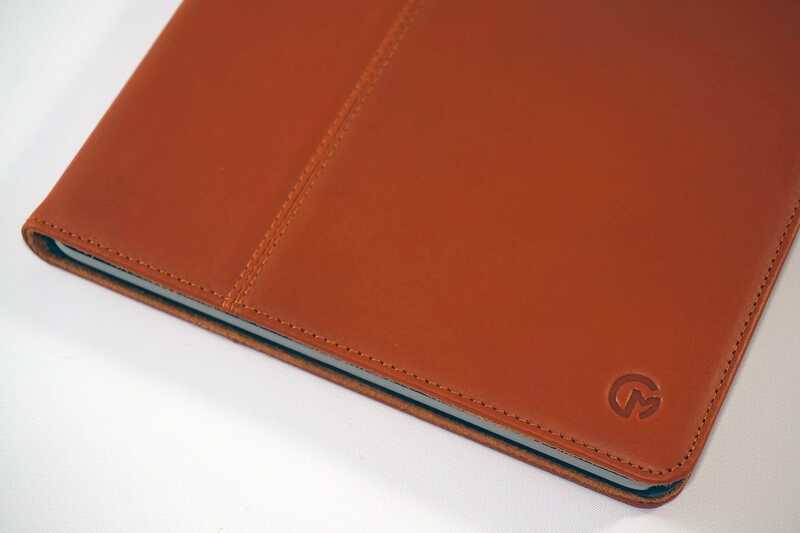 The interior is lined with suede leather, pleasantly soft to the touch and easy on the iPad’s glass screen. The case looks excellent and feels even better. The grain of the leather on the exterior has just enough give to let you know it’s real while staying thin enough to slip easily into a bag. 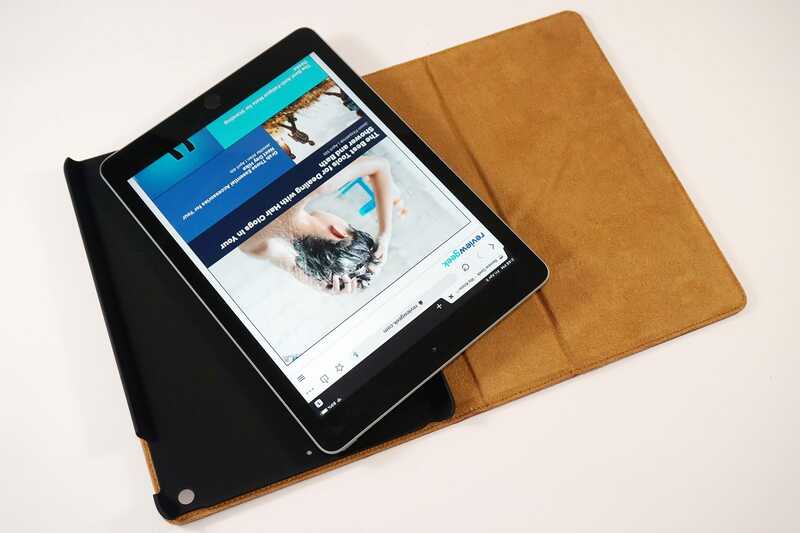 With the case closed all portions of the iPad are protected by extruding leather and plastic, though it should be noted that the top and bottom are susceptible to impacts on irregular surfaces. The case comes without an exterior clasp, relying instead on hidden magnets to secure closed. These pull double duty, automatically turning on the screen when the main flap is opened, as most iPad cases will do these days. Aside from easy access to the charging port, headphone jack, and buttons, the only other practical feature of the case is that fold-back stand. This could have been implemented better: the leather-only fixture tab is stiff and not altogether sturdy. Even when the tab is correctly used, the curve of the flap makes the iPad “rock” back if you’re actually trying to use it.